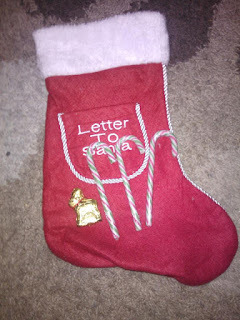 So Santa has been and gone for another year. We are still full of toys and boxes everywhere, I'm not totally sure where everything is gonna go. The kids got too much as always. We have three Christmases in our household, which is great for scattering the presents over three days. On Christmas eve I spend it with my nan, mom and sister. Where we have something light to eat and spend the day together. Christmas Day I spend with the OH mom, OH & the kids. We open our presents at home have some breakfast then pop over about 1, have a full cooked dinner, pudding then tea. Boxing Day we spend at my dads, with my sister, the OH and the kids, we have Christmas dinner round 2. More presents and pudding. I love how we celebrate Christmas and its great to see all the family, after all that's what it's all about. 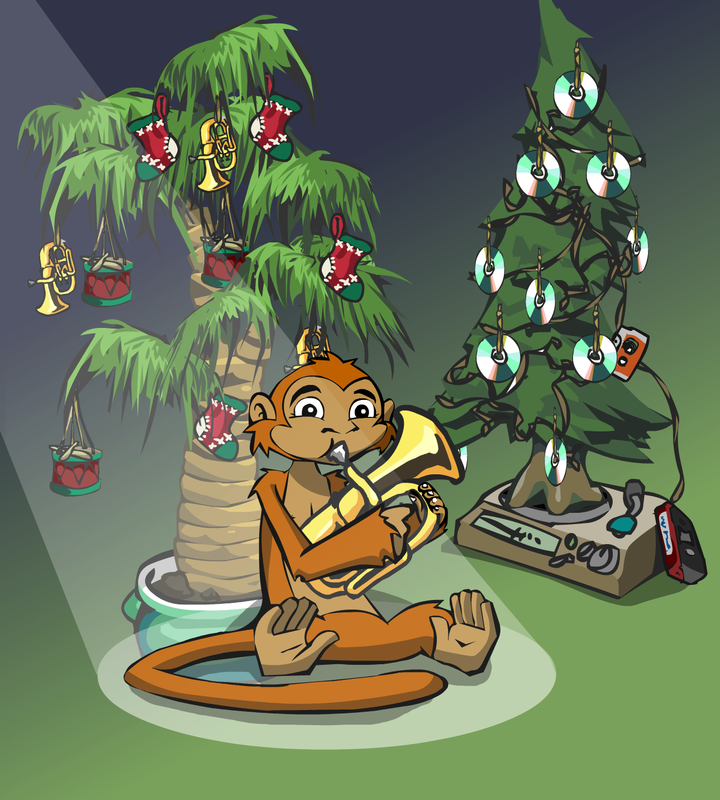 Hey guys I hope you all had a great Christmas. This year we had an amazing, stress free Christmas. It's been a tough year, some hurdles I've had to face this year has had me thinking about what actually is important. About two weeks ago I found out a very inspiration blogger. lost her life, leaving her poor kiddies behind just a stone throw away from Christmas. I've been missing her posts terribly as it was one if the blogs that made me set up my own blog in the first place. So after this my dear online friend passing away and my nan battling breast cancer it has made realise that life is far to short and important to waste on a computer screen. Children don't Stay small for long and I have something so precious that I have lost my way, battling with myself actually thinking its been making me happy. I thought about my new year resolution about a month ago and it was to update my blog a bit more. Instead I'm scraping that and I've decided on making myself better, to look after myself a bit more and to appreciate my children more. The DGJ Range has and always will be based on Designer Salon Professional Status – so much so that the major Hairdressing bodies are showing interest in the products and in particular Medichem's exciting up and coming new product development. All of the DGJ products have been tried and tested in Salons proving the quality of the products. It is our intention to focus on the professional effects and reputable quality of the product whilst unashamedly substantiating where and how the range has been rigorously tried and tested. I've been using my same shampoo for a few years now, everything I've tried makes my hair very greasy. I have good condition hair as I rarely straighten or blow dry it, even though its coloured, very thick and long it's in great shape. Most shampoos either make my hair very greasy or really dry and very flakey. First up is the HairJuice Clarifying Shampoo 250ml - £5.99. DGJ Organics Mandarin Essential Oils & Rose Extracts Revitalise & Cleanse Hair To Remove Build Up & Impurities - ok first up the smell is gorgeous, I love fresh and fruity smells. It's just divine. The shampoo gives you that squeaky feeling, actually my hair did squeak, it felt so clean after I was really amazed. The conditioner smelt just as fab as the shampoo, I only use conditioner once a week as my hair doesn't need it more than that. It left my hair feeling very soft. "DGJ Organics Mandarin Essential Oils & Rose Extracts Revitalise & Cleanse Hair To Remove Build Up & Impurities"
First to admit I've never really tried any oils on my hair, I tend to stay away from it. Organic Argan Oil is to help nourish and restore healthy hair, so I used it after I had washed my hair and it had been towelled dry. It had a soft and stuttle fragrance and after I had blow dried it my hair was really silky and soft. My hair did go greasy the day after but my hair does tend to do that with some shampoos in general. I've been super happy with these products, they are the same price as my normal shampoo and conditioner so I think I may switch over once my others are used up. Its very rare I find a shampoo that suits my hair. I would never of tried DGJ organics, if I didn't have the chance to review these products. So I'm super pleased. We got a lovely Christmas box from Warner brothers, the kids managed to get in the box and eat the yummy chocolates before I had a chance to photo it all. In the box, contained a Christmas stocking, candy canes, Lindt chocolate, batman masks, polar express in 3D, New Year's Day, the dark night rises and New Year's Eve. So first up the the fabulous Polar Express in 3D. "Santa Claus does not exist. Or does he? For one doubting boy (voice of Daryl Sabara & Tom Hanks), an astonishing event occurs. Late on Christmas Eve night, he lies in bed hoping to hear the sound of reindeer bells from Santa's sleigh. When to his surprise, a steam engine's roar and whistle can be heard outside his window. The conductor (also voiced of Tom Hanks) invites him on board to take an extraordinary journey to the North Pole with many other pyjama-clad children. There, he receives an extraordinary gift only those who still believe in Santa can experience"
The film is magical and definitely for the whole family. We all loved cuddling up and waiting it together on the sofa, talking about when Santa is going to come next week. Next up was New Year's Eve celebrates love, hope, forgiveness, second chances and fresh starts, with intertwining stories told amidst the pulse and promise of New York City on the most dazzling night of the year. The film gets you right in to the festive spirit, . It had me crying with laughter and crying with tears it's pretty emotional. makes you think to put the past behind, and to look forward to an exciting future, after all you are the one that makes it. The Dark Knight Rises I'm not a massive batman fan to be honest I have watched the other films though. I certainly enjoyed the film and its a great add on to the others. I want to thank Warner brothers for the fab box and some fab movies for mommy and daddy to enjoy this Christmas, so we could wind down after the stress of Christmas. 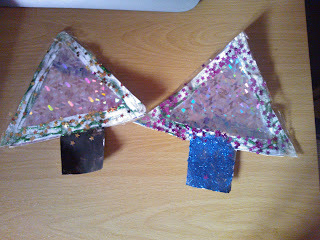 Simple and easy tree craft. Raiden did a little activity where we cut out some trees from paper and dectored them with paint and star sprinkles. When they had dried we added some shiny paper for that extra sparkle. Both of my children have never been great sleepers, you could say I've had broken sleep for the last 6 years. Raiden would get up from anything from 1-3 times, normally for a bottle then go back off. Finally just as he was sleeping though I found out I was pregnant, while pregnant I was in so much pain I hardly slept. So Lexie came along she slept though for a few weeks, then stopped. She always been very fidgety and restless though the night. She can wake for no reason crying, normally a few slips of a bottle will get her back off again. I can generally say though even though they go back off, the broken sleep is the worse I get feeling I've had an hour sleep. Just after her 1st birthday, Lexie woke up screaming & crying. Nothing would calm her down at all, after about 40 minutes & calpol she went back off to sleep again. We just put it down the teething. A month or two later this happened again. We really didn't know what was going on, she woke up screaming, she was running around and nothing could calm her down. After a lot of rocking and soothing finally she went back off. Last week the same thing happened again, this time it lasted well over an hour. She would throw her self back, hit her head on the floor and just scream. The strange thing was her eyes was open but she wasn't there at all.. Night terrors did pop it to my head but I thought that it possibly couldn't happen so young! After researching it online it can happen to babies and its really quite scary to watch, because you can't actually do anything as there still in a state of sleep. she's sort of caught in a sort of a twilight zone between being asleep and being awake, she's is totally unaware of my presence and doesn't respond to anything I say or do. It's so frighting. This happened again last night and it when on for even longer a total of 75 minutes where I sat there unless which she was in a state of throwing herself around, kicking me, crying and screaming. The more I try to comfort the more aggressive she gets. The scary thing is that there is nothing to prevent this happen nor can I help or do anything to calm her while it happening. I actually feeling pretty useless and dreading bedtimes now. Anyone had children that suffer with night terrors, did you find anything that helped?? Ok so asking a five year old his perfect game I thought would be easy! Yeah right, he keeps coming you with snips of the games he has already played so its proving hard. Apple books have brought out some children's classics with a twist for Christmas. First up is a funny rendition of The Princess and The Pea. i grew up with this being one of my favourite books to read. I loved the children's twist on it how it's insightful reflection of how important having certain things "just so" can be to certain kids. This book has been a huge hit with both kids, they have both enjoyed it as there bedtime read. I've really enjoyed reading the updated classic. Most of the time she is good Princess Rosebud. But when there’s a hole in her sock, or her sweater is itchy, or—ick!—the peas on her plate are smushed up right next to the carrots, this strong-willed little miss becomes the picky and prickly Princess Fussy. The second is flying to neverland with Peter Pan which has been updated to a magical picture book sure to enchant the musical’s legions of new and returning fans. Lyrics from two beloved songs from Peter Pan which is a super add to the the original Peter pan classic. JM Barrie originally wrote his classic children's story Peter Pan as a stage play, and it was the immense popularity of this that persuaded him to write the book, which has been a favourite amongst children ever since. The play was turned into a musical over fifty years ago, with lyrics by the legendary Jerome Robbins, and Flying to Neverland takes children into a piece of this magic. Exuberant watercolours capture part of the story as Peter enters the Darling's house at night in search of his lost shadow, wakes Wendy, Michael and John, and explains his presence, who he is and where he lives with the song 'Neverland', and then takes them flying there with the song 'I'm Flying'. Children can follow the lyrics on the page as Peter and the Darling children swoop, hover, and turn in the air, and can hear the songs HERE so they can experience this magical night where the story begins again and again. We got to review and test out some pretty cool interactive answer buzzers. The buzzers are very "Game-show " like. The buzzers are four different colours with fun sounds- honking horn, boxing bell, doorbell and a boing! We have been testing the buzzers with simple games, like spelling or the odd one out. Raiden has thought these have been super funny with the different sounds. 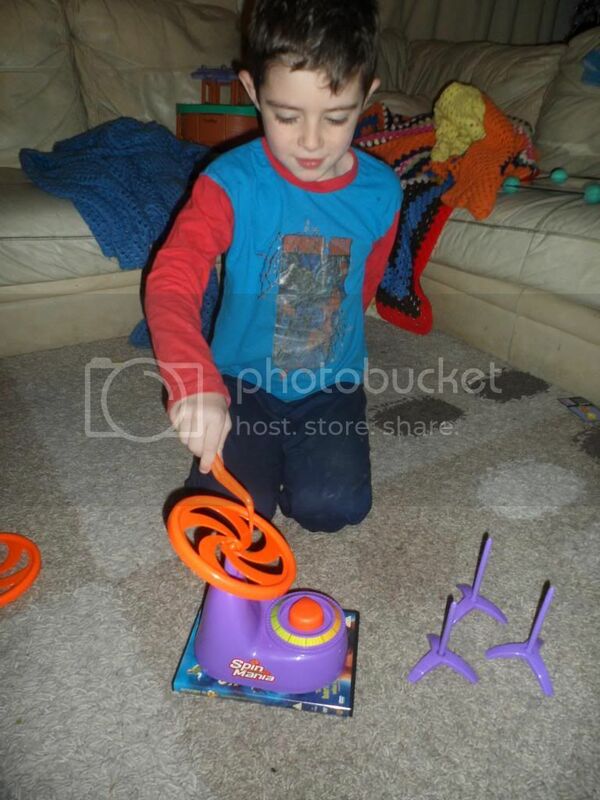 It's been an unique and fun way of learning without him thinking he is learning with a simple game. 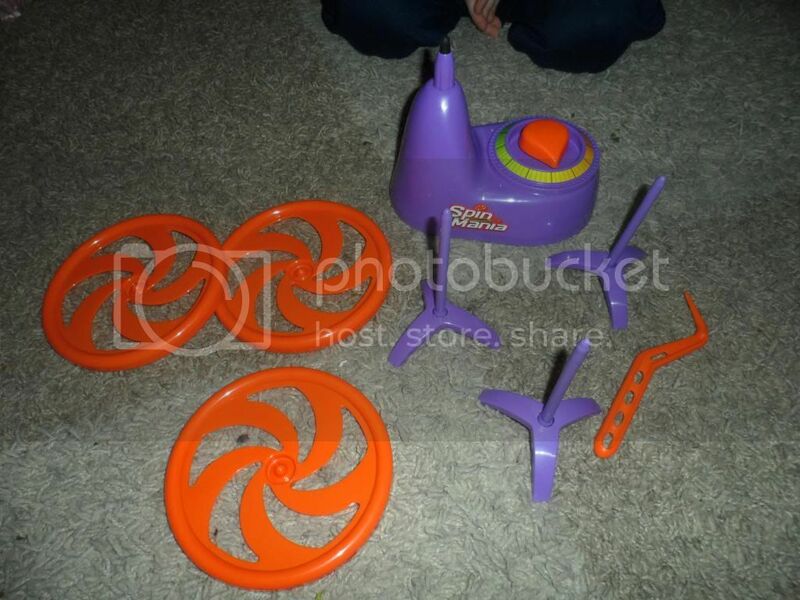 They are suitable from 3-15 years and could be used for multiple of things. Even Lexie has just enjoyed pushing the buttons for all the sounds too. My only bug was each buzzer requires two battery's, so that's eight altogether before you even start, which can prove a little costly after paying £15 for the buzzers. So this awesome idea popped up in my news feed, so I knew we had to try it! First of all we made the salt dough which is very easy to make. 1. Add ingredients and knead dough for 15 to 20 minutes. 2. Roll dough out and place hand, so it imprints on to the dough, cut around excess dough. 3. Make a small hole so you can hang. 4. Bake at gas mark 6 for about 2 hours until golden. 5. Paint and decorate as desired. 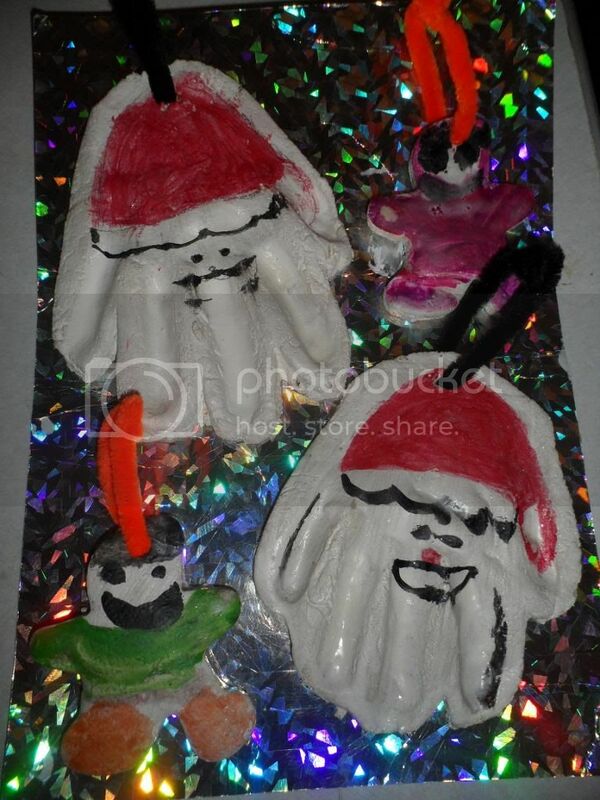 We also made some gingerbread decorations too, as we had some dough left over. These are a lovely keepsake for years to come. 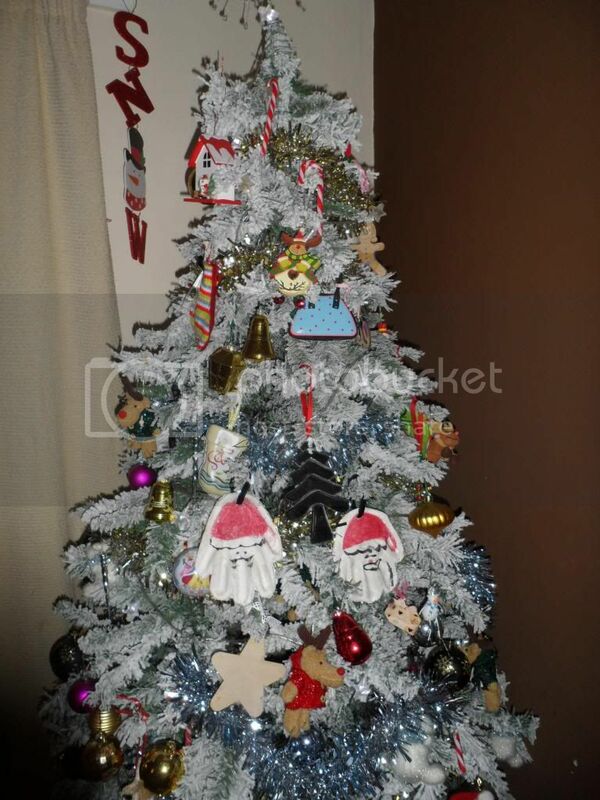 Here they are looking fab on our tree. So today i bring you details of a fab free members only site called Achica, that offers desirable brands at great prices. Which run daily promotions, each limited up to 72 hours only, so you need to be super quick if something catches your eye! You can also set up daily or weekly emails so you will be the first to know about there great new deals. It's the perfect website to suit every budget and every present you may need. There experts are on hand to offer you ideas and inspiration, so be sure to browse there blog and free magazine while you shop. You can take advantage of there regular competitions and special offers too. I decided to do a top five wishlist just in time for Christmas. So my first is this stunning wooden dolls house. When I was younger I used to dream of owing my own, I use to make mine out of boxes and decorate it with old scraps of wallpaper. 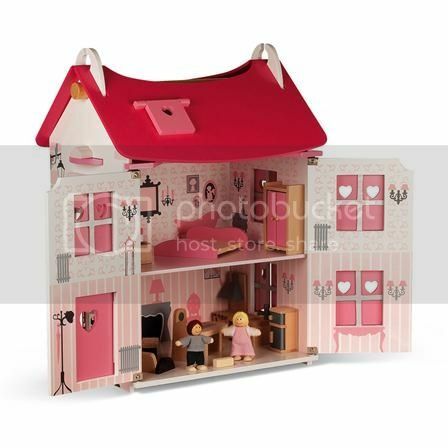 I would love this Janod Wooden Mademoiselle Doll House for my daughter. A beautiful Wooden Dolls House from French toy maker Janod. This house comes complete with 17 pieces of furniture for a bedroom, kitchen, living room and bathroom. The working shutters, doors and front panels open out in to two sections allowing easy access to the beautifully styled interior. The stylish curved roof features a lifting velux window and the roof panels lifts off to allow access to an upper attic room. 17 accessories including 2 characters. My second would be this Maxwell & Williams Cashmere Axis 16 Piece Dinner Set as we are having a dining table delivered next week and it would be great to have everything nice and matching. This stylish dinner set is part of the new Cashmere Axis collection which features rimmed plates, bowls and elegantly shaped mugs. 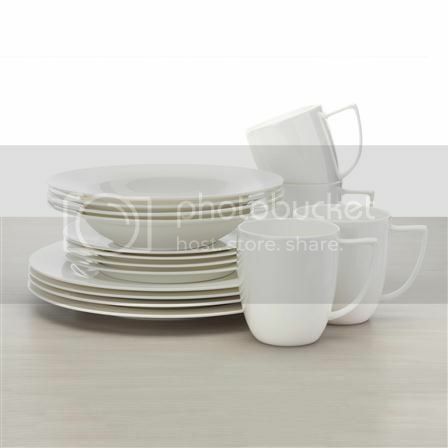 Made from fine bone china, this Axis 16 piece set contains 4 x mugs, 4 x 20.5cm side plates, 4 x 23cm bowls and 4 x 27cm dinner plates. My third would be some cushions to jazz up my sofa, my poor sofa has been though some hard times with the two children with these Twig Cameron Pure Silk Cushion. A simple yet chic cushion developed in a subtle palette to co-ordinate with other products within the Twig collection of home furnishings. 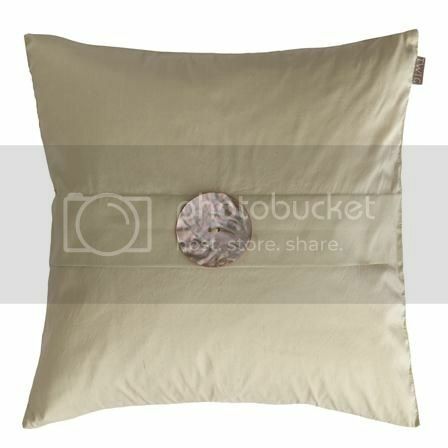 The Cameron cushion carries the signature Twig Australian abalone shell button on a pure silk ground fabric. 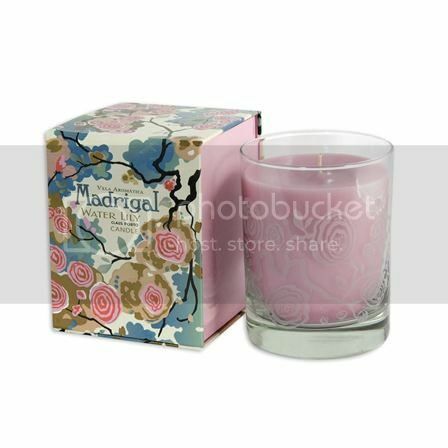 So fourth on my list is the Claus Porto Madrigal - Water Lily Aromatic Candle, I'm a massive fan of candles I have them all around the house. More than a spring of aromatic odours, the Claus Porto candles are also unique pieces of decoration of great beauty. In an attractive glass container, they set free unforgettable aromas during 70 hours, creating atmospheres that awake emotions and stimulate senses. The exceptional quality of the wax guarantees a uniform burning, avoiding the unpleasant moats that traditionally appear around the wick. Finally last on my list is these beautiful Gallery Butterfly Set of 3 Mirrors. I have a very plain bedroom so I would love these to make it more personal to me. 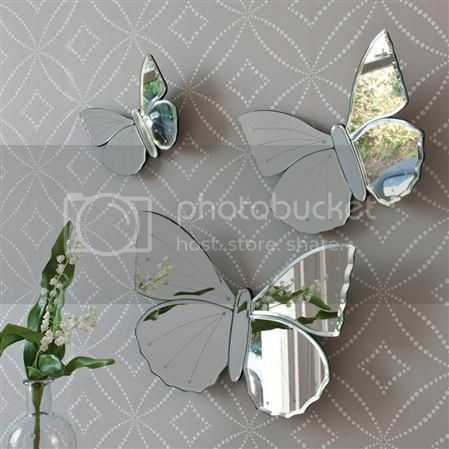 Gallery's stunning Butterfly Mirror Set is a beautiful 3D mirror formation. With delicate etched detailing, the mirrors can be easily mounted to the wall to add another dimension to any room. So there is my top five why not pop over to Achica and make your own wishlist and grab some of them last minute Christmas presents. Are you tired of drab presents from your hubby, who has seemed not follow your hints or noticed you dribbling over a new handbag. Here is a new website to save you from that, which was actually set up by a man! "I started asking my girlfriend's mum and friends for their advice and they were really helpful. Then speaking to my mates, I came to realise that I wasn't the only one getting it wrong in the gifting department." 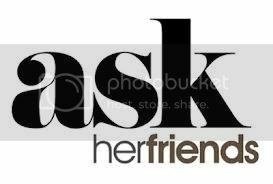 An AskHerFriends app and sister site, AskHisFriends are also in construction. Man signs up to AskHerFriends and browses the huge range of gift and experiences on offer. He chooses some and adds them to an Advice List that’s then sent round to his lady’s friends and family via email or Facebook. They can then rate and comment on his choices helping him to buy the best gift for you. 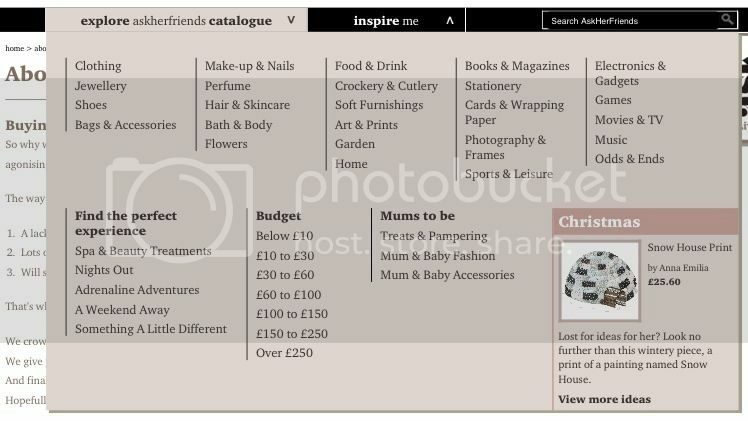 With unique gifts & experiences which range from £10- £250 so there is an option for every budget. 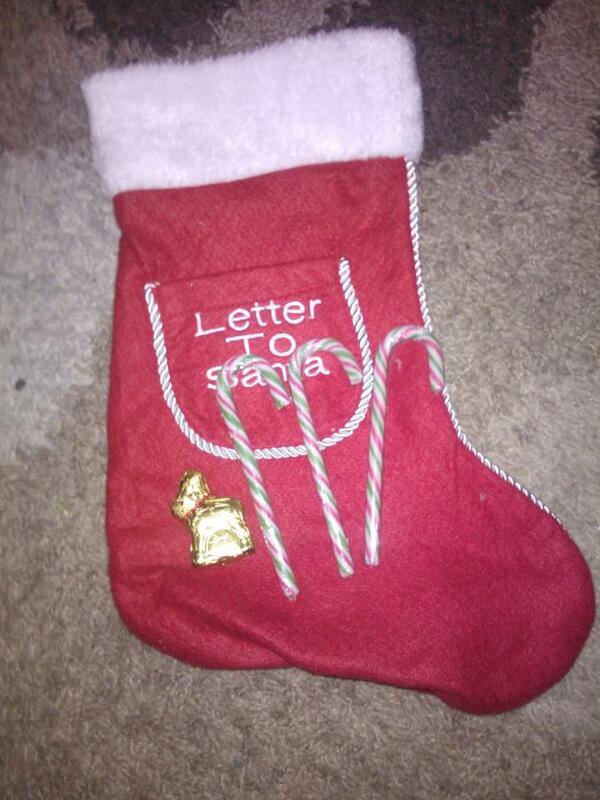 Such a simple but effective idea, he surely will ever get it wrong ever again! So both of my children have drank milk straight from the fridge, since they was babies. They hated milk warm. Raiden is now 5, and still will not drink a hot drink. I'm always a bit wary of malt drinks, I've never liked any I've tried. I was pretty curious to see what the little ones thought. I was surprised Raiden liked it and Lexie didn't. I made some with pure milk, rather than water and its pretty nice. 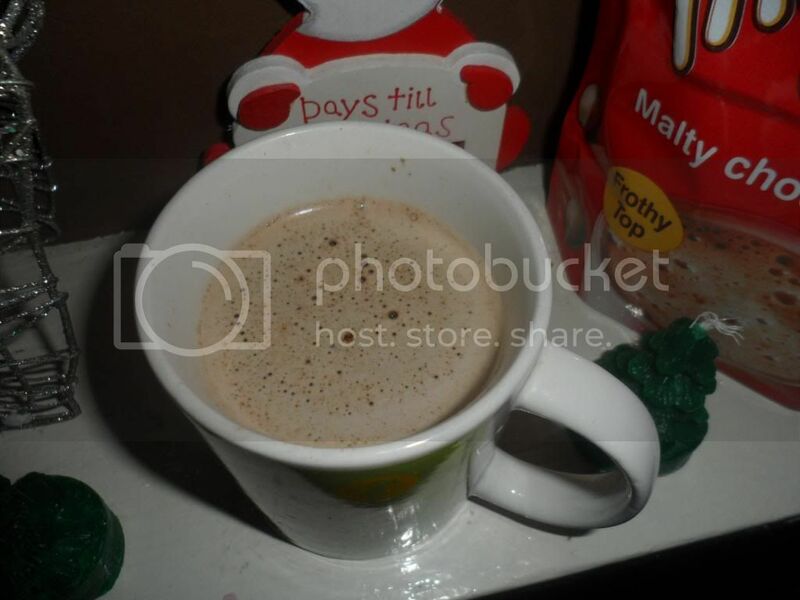 As you can use milk or water to make the drink. I love the packing, Its Zip tight bag is very Eco friendly. I think all company's should do this rather than the jars, as it takes up less space in your cupboard too. 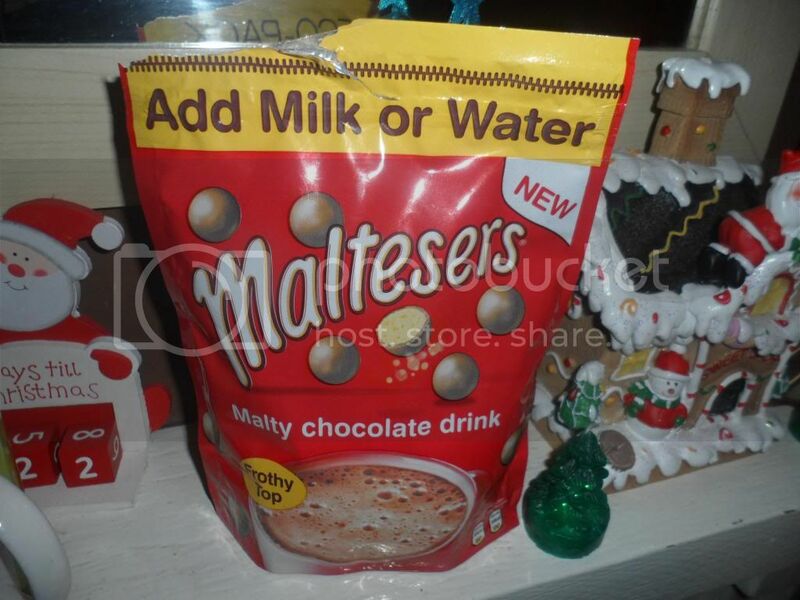 Maltesers Malt hot drink is available from most supermarkets and will be fantasic for those long cold, winter nights coming up. I am always looking for games to play with Raiden, so was delighted it by asked to review the Spin Mania game. After inspecting the game, I realised its not game you can have with little ones about. 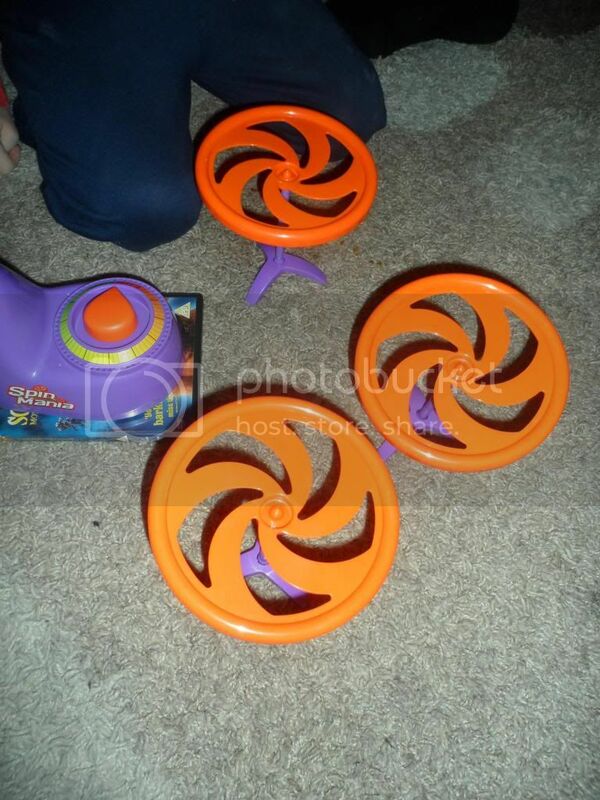 There are three spikes you pop the plates on which are dangerous with a one year old that's fast as lighting. We waited for Lexie to take a nap and set it all up. The game is pretty simple when you get the hang of it. You must carefully pick up and carry spinning plates from the spin-base to three stands, then rush back to stop the clock. It a great time trial game, you race against time. We made the mistake of trying to get the plates from the edge rather than the middle and the plates spun off everywhere. It sounds easy but it's really not, we used the bases as a game where they got further and further away, so it as more tricky. The game was much fun and Raiden enjoyed playing it and making up new ways to make it harder to complete. 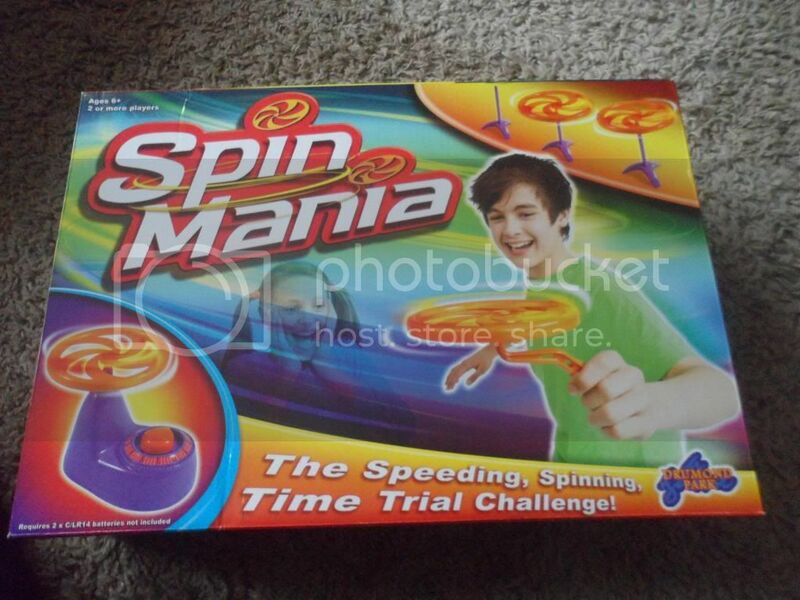 Suitable for kids aged 6 and up, Spin Mania requires 2 x C batteries (not included) and comes with: Spin base with timer 3 x Spinning plates Plate handle 4 x Scoring pegs. UK children are springing into eco action through concerns about greenhouse gases, a glut of garbage and the end of the human race. Research released today by MiniMonos.com, a children’s virtual world with an ecological focus, reveals more than half of kids today are actively involved in everyday eco-friendly behaviour and are intent on making their own personal contribution to looking after the planet. This is amidst rising fears of extinction expressed by almost a quarter of children surveyed (28%), while a further one in ten are worried about the effects that pollution and rubbish are having on the Earth and our lives*. The research, launched by MiniMonos to raise awareness of the UK’s first ‘eco’ membership card for children, shows that eighty-six per cent of those questioned believe it is important we take every step possible to look after the planet. More than a third recycles regularly (38%), almost a fifth picks up litter (16%) while one in twenty helps protect wildlife or takes up energy saving activity (5% respectively). More than a million kids across the globe are being helped to make an enviro mark through MiniMonos’ offer of a unique online space, where they can learn about the world around them while playing exciting games, interacting with like-minded friends and winning rewards for undertaking their own real-life ‘EcoMonkey’ projects. And as part of its march for a more ethical toy market, the virtual world has launched the planet’s first eco membership cards on the high street, offering an alternative to traditional Styrene material so they can be recycled rather than put into landfill. Founder Melissa Clark-Reynolds said, “This generation of kids in the UK is clearly fearful about the impact global warming could have on the future of the planet and – for a significant amount – the human species itself. “The research underlines the importance they place on being able to do their bit to protect the environment, and by adding the world’s first eco-cards to our existing line up of ethical products, we can offer our UK fans goods which are supportive of the green causes close to their hearts." The findings further suggest that when it comes to setting a good example on green behaviour, mums rate best, with around a third of children (34%) identifying them as the family member doing the most in the home to look after the environment. Kids can pick up their eco membership cards now at branches of WHSmith, or log on to learn more about the MiniMonos universe and how to start their own EcoMonkey project at www.minimonos.com. brand new eco-cards. Just fill in the form below to enter.